This family had a great, one level home! However, they wanted to make some changes to open the space up, add a master suite, make their home easier to navigate as they age in place, and have the remodel feel like their home has always been that way. While working on the plan for the master suite and how that would function, their desire was to have the rooms not only be aesthetically pleasing but also function for when the time came to use a walker or wheelchair. That meant changing the location of their door for a larger opening, adding a walk-in closet, adding additional square feet to the home to accommodate a larger bedroom and larger bathroom. To purchase a newer, two story home, on a smaller lot or stay in the 1960’s era single story house on a large lot in an older section of Tigard…that was the question. We decided to remodel our house involving approximately 75% of our house – living, laundry and dining rooms, kitchen, and extending the master bedroom and bath. 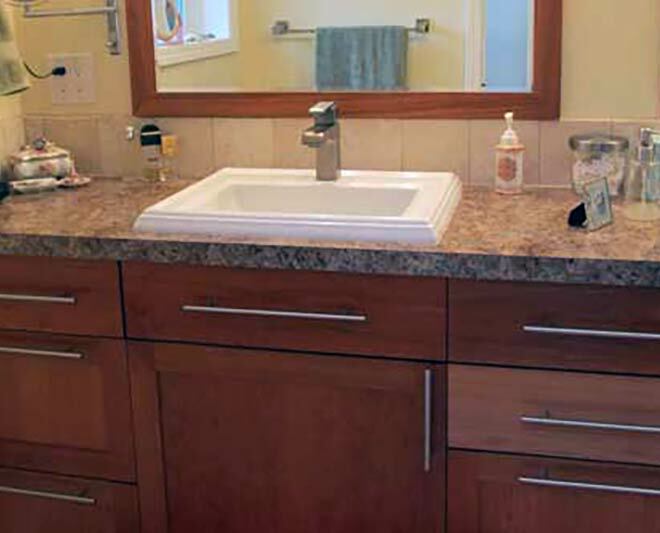 For us, the remodel process began at the Home Remodelers Show in early 2008. We walked around the Expo Center and looked at flooring, windows, fixtures and spoke to several contractors; one of them was Mitchell Speck of Specktacular Home Remodeling. Confusion and fear crept up on us. How do people go about remodeling their home? Where do you start? It was important to choose the right contractor, because, one: we had never experienced a remodel project, and two: we had heard many stories of remodel nightmares. But we jumped in with 4 feet (the two of us) anyway! We started with interviewing builders and architects which took several weeks. We remembered Mitchell Speck and how he showed interest in our project and told him that we didn’t know anything about starting a remodel or choosing a builder. Mitch said first of all to thoroughly check out any contractor we were thinking of hiring; talk to the homeowners of his current renovations; call his vendors, etc. So we included Specktacular Home Remodeling in our interviews. 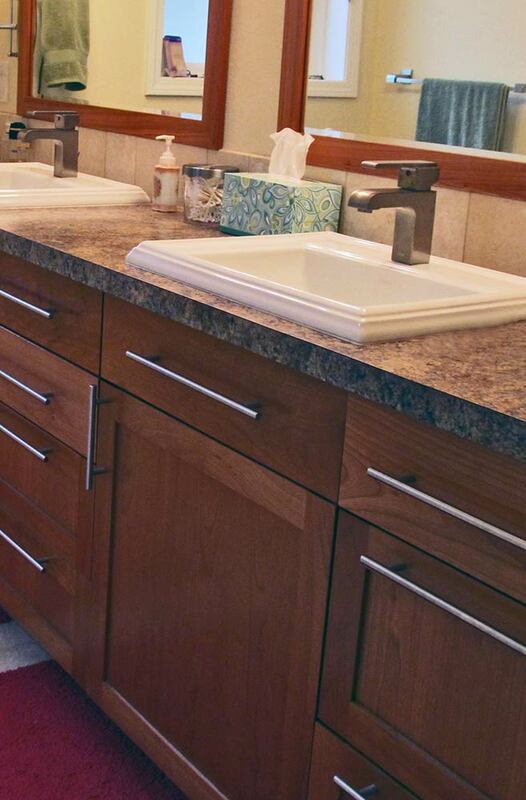 We chose Specktacular Home Remodeling for two reasons. First of all Mitch convinced us they could do the entire project, starting with his wife, Debbie, designing the home that we want, to getting the permits to the final work. Secondly, and most importantly, they convinced us they were the right people by being the kind of knowledgeable professionals that we could easily work with. And thirdly, the homeowners of Mitch’s current projects were all very happy with his work. To keep costs lower, we agreed to participate in the demolition, painting the entire interior and the daily clean up of the work site. At the beginning of this renovation, Charlie, my husband became seriously ill. I was the one that worked closely with Mitch making the many onsite decisions to be made like where the light fixtures should be located, which way the door handles should go and so on. Mitch was great when it was make a decision time. He would tell me what needed to happen and why and offer his suggestion. He was always patient with my questions and accepted my decision even if it was different from how he thought it should look. But Mitch would never compromise on building code or what was the correct way to build. Mitch is excellent at listening and helpful in decision making. Mitch and Debbie took our long list of wants and must haves then came up with an innovative floor plan that incorporated all our desires in a way that we would not have thought of on our own. This included designing our home for Aging in Place. This gave us wider door ways to accommodate wheelchairs and walkers if needed in the future. While firming up the design they worked with us to make sure it was both what we wanted and what we could afford. Debbie assisted me when it was time to choose the lighting and plumbing fixtures; carpets and floor covering; counter tops and tile and appliances. Shopping with Debbie took the guess work out of locating everything on the list. 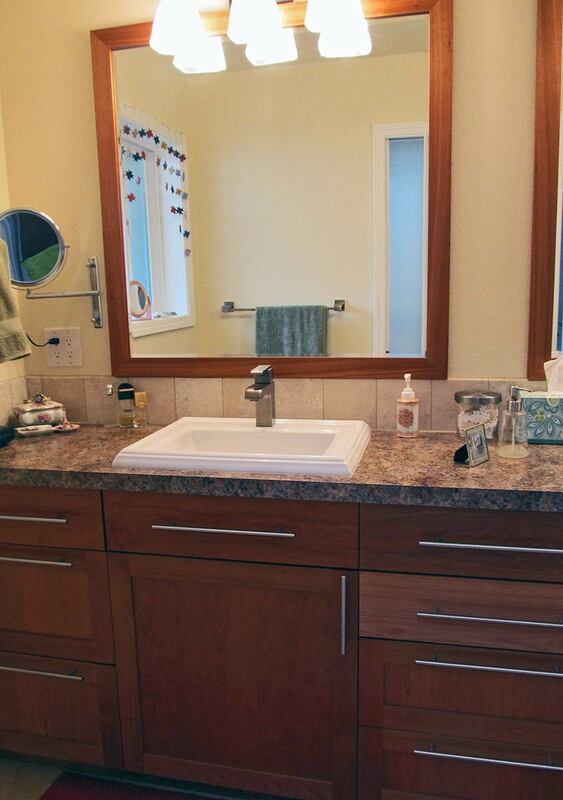 She has an excellent sense of design and proportion and we are thrilled with our new kitchen and new master bath. These two areas were in the greatest need of a makeover. During construction, Mitch kept us up to speed in which areas would be deconstructed or reconstructed and as to when the subcontractors were coming in. The subcontractors that worked on our project were professional yet friendly and fun. I had the opportunity to work along side Mitch’s carpenter crew during the demolition stage and they were very patient in showing me how to correctly and safely pull down sheetrock. And I got to swing the sledge hammer to take down the old interior wall 2 by 4’s. I really enjoyed the demo process! And then I got to help build interior walls and work on the new addition’s joist plate and attach the deck for the subfloor. Oh, the joys of power tools! This is a very important point: Mitch can be pickier than me! This is a very good thing. He was meticulous when installing the trim and moldings. Mitch wouldn’t hurry through this stage just to get the house done. He took the time and believe me—it all looks just beautiful. The white trim gives our home a fresh, bright look; and remember this house was built in the early 1960’s. In the end the project was right on time and on budget. 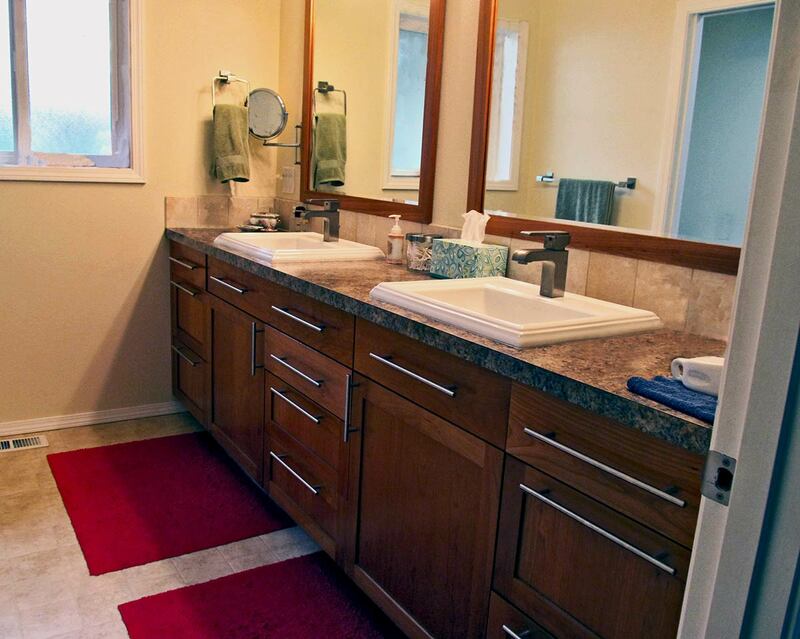 We could not be happier with our project and have had Specktacular Remodeling back to remodel the hall bath. When we walk in the door, we still think “wow, this is our beautiful home.” Many thanks, Debbie and Mitch…we love our “new home”.